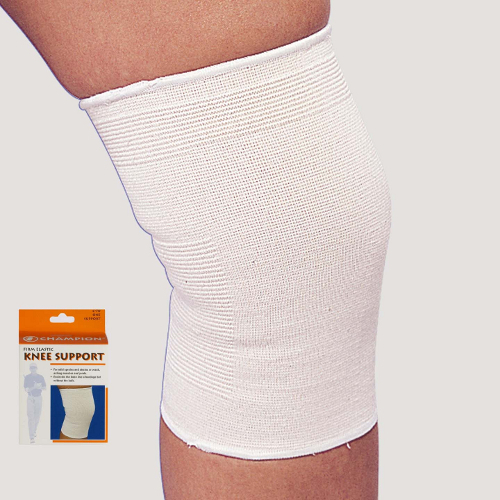 The SAI / Champion Firm Elastic Knee Support is a medium duty, controlled stretch knee support that helps reduce swelling and minimize pain while allowing full range of motion. The SAI / Champion Firm Elastic Knee Support is a medium duty, controlled stretch knee support that helps reduce swelling and minimize pain while allowing full range of motion. It provides compression where it is needed most - over the soft tissues of the joint - without binding or cutting around the edges. This is an excellent support for everyday activities, an increases wearer confidence for walking or standing.